At Valuecom's press day, last Tuesday. Photo shot by Panagiotis Barous. Orange skirt, BLANCO. 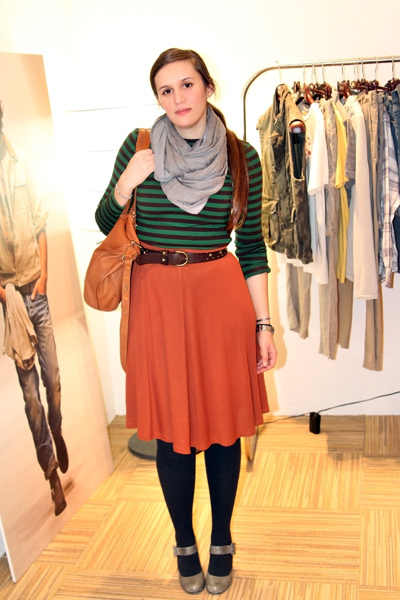 Sweater with stripes and grey circle scarf, BENETTON. Brown studded belt, MANGO. Grey round-toe maryjanes, LA STRADA. ooh yeah I love this outfit! So trendy and so you at the same time ! Lovely skirt! You are so so cute! Very nice outfit!!! LOVE stripes!!!!! !